Pannell Discussions » 215 – However » Ideas in economics, environment, policy and more. A big part of my job as an academic is reading unpolished writing of other people: research students’ theses, colleagues’ draft research papers, journal papers I am asked to review, draft funding proposals, and so on. Of the many writing mistakes that I see, one of the most common, even amongst people who otherwise write well, is mis-use of the word however. It’s not at all difficult to get it right, but it’s remarkable how many people don’t. The key point is that you should not use however to combine two contrasting sentences into one sentence. If you want to do that, use but. Or else keep using However but punctuate for two sentences. Wrong: I don’t know why so many people get this wrong, however, I know from experience that they do. Correct: I don’t know why so many people get this wrong but I know from experience that they do. Correct: I don’t know why so many people get this wrong. However, I know from experience that they do. An acceptable alternative version of the last example is to use a semicolon in place of the full stop: ‘… get this wrong; however, …’. Used in this way, the semicolon is a lot like a full stop but it emphasises that the two sentences are related (as they always are when you use however in this way). On occasions, I’ve had trouble convincing people about all this. These are often people who write quite well, but have somehow fallen into misusing however and have been doing it for years without being pulled up for it. Correct: I don’t know why so many people get this wrong. I know from experience, however, that they do. Notice that the however is not linking together what could otherwise be two separate sentences. If you take the however out of the second sentence, it doesn’t become two sentences. But that is what happens if you delete however from the Wrong example above. Burchfield, R.W. (ed.) (1996). 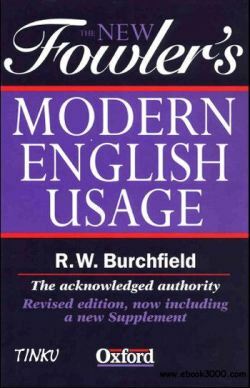 The New Fowler’s Modern English Usage, 3rd Edition, Clarendon Press, Oxford. Posted on 14 May, 2012 by David Pannell. This entry was posted in Communication, Latest. When reviewing draft papers prepared by OECD colleagues a common mistake was the omission of the punctuation marks around “however”. Another frequent mistake, however, was the confusion between “compared to” (similarities) and “compared with” (differences). Compared with colleagues whose native language was English, those using English as a second language often made fewer such mistakes. This is probably a result of the lack of grammar teaching in English-speaking countries. Thanks Wilfrid. The Economist Style Guide is a terrific resource, which I’ve been planning to refer to in an upcoming post on hyphens. As far as I can see, it doesn’t say anything about however or but, but it’s still worth a browse. I agree that there is a lack of grammar teaching in English-speaking countries. Oh yes, I hate that too! And there I’m starting my sentence with a conjunction. If only we would all read the Oxford Dictionaries Grammar blogs, and complete a Cambridge English course. Like you, it seems, I prefer using “but” both to join sentences and to begin them. “However” is not a real word; that is, no one ever uses it except in formal writing. But I can’t convince editors to accept this. Interesting observation. It hadn’t occurred to me that “however” is not commonly used in normal informal speech, but you’re right. I wouldn’t say it’s NEVER used, but it is uncommon. Despite that, I’m OK with people using “however” as long as they do it correctly. My gripe is basically with its punctuation. I note with interest the point by Wilfred above about those who use English as a second language rarely using ‘however’ incorrectly. My test for correct language usage is usually to read my work aloud and give myself a sense of whether it ‘feels’ correct. As language tends to evolve over time and hence correct usage can and does change (Chomsky, 1960s), I become increasingly a little less sure of my intuitive hearing assessment of accuracy, as my age increases! One thing I am regularly noting in refereed (and non-refereed) journal articles is the inappropriate ending of sentences with a verb. But I think the examples above illustrate this common practice very well and how such a practice can introduce lack of clarity. Maybe, if language does continually evolve (as Chomsky suggests), there are somewhat diminishing returns in continually correcting such mistakes. However, dilemmas about language can be such fun! The Economist Style Guide, which I have not previously, read, does have a very elegant way of handling the double negative in English in its introduction. So thank you very much for these insights.